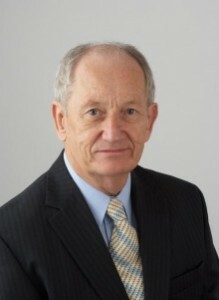 Paul Askins is a geologist who has held senior management positions with major exploration and mining companies, and has over 40 years’ experience in mineral exploration for a broad range of commodities in Australia and overseas. Paul is an ore finder, and is proud to have been Western Australian Exploration Manager for Billiton (Shell Metals) when his team discovered the multi-mineral ounce Sunrise Dam gold deposit. He holds an MSc in mineral exploration and has been accredited with a Chartered Professional (Geology) from the Australasian Institute of Mining and Metallurgy. 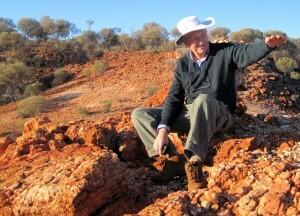 Paul Askins on an outcrop in the Great Victoria Desert. Orebodies are in the tenements over that way. Sold to Boadicea Resources Ltd:- the Western Australian Symons Hill project, right next door to the major Nova nickel deposit held by Independence Group NL.